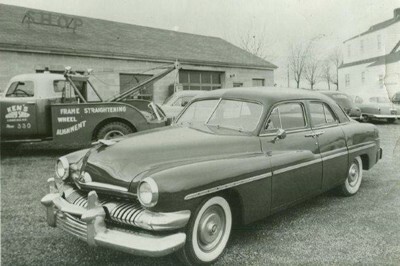 Company History: Ken’s Body Shop has been family owned and operated since 1951. 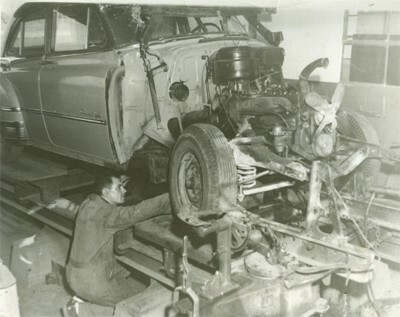 Though much has changed since then, Ken’s Body Shop’s uncompromising standards and continued commitment to excellence has remained constant. Innovation in this industry mandates that we move swiftly, to stay in stride with new car manufacturers’ specifications. You reap the benefits knowing that through Ken’s, your investment will be maintained and the safety of you and/or your family remains intact. Insurance Companies: We are very proud of our relationships with ALL automobile insurance providers, many with which we have direct billing arrangements. Our goal is to take care of your claim from beginning to end and relieve you of the worries and concerns about dealing with insurance adjusters and agents. We employ Professional I-CAR Gold Claims Handlers whose job is to contact your insurance company, negotiate your claim, arrange a rental car for you and make this unfortunate accident a completely hassle-free experience. High Production Facility: Our “State of the Art” equipment and repair processes allow us to repair collision damaged vehicles as efficiently and cost effectively as possible. Our facility covers 17,000 square feet of work space and over 13 acres of property. Environmentally Friendly: We strive to reduce emissions with renewable energy such as our wind turbine and the use of environmentally friendly products. Trained Estimators and Technicians: We believe that a continuous training program holds the key to success and customer satisfaction. We conduct extensive training on a monthly basis through participation in outside instruction in addition to our in-house programs. People: Very simply, our organization is people working to help people. We take great pride in staffing our organization with people who understand your needs and are driven by a cohesive spirit of teamwork. Each and every member of our staff has significant experience and background in the automobile repair industry and in working with automobile insurance claims. Quality: We stand behind our work 100% and offer an unprecedented lifetime warranty, guaranteeing you years of great service and peace of mind. We place in the upper 1% of top quality repair facilities in the nation for customer satisfaction based on an independent third party CSI firm. We are very proud of these survey scores and the staff at Ken’s Body Shop has worked diligently over the years to achieve these scores. Nevertheless, we will strive to reach new heights since customer satisfaction and service is truly an ongoing commitment at Ken’s Body Shop.